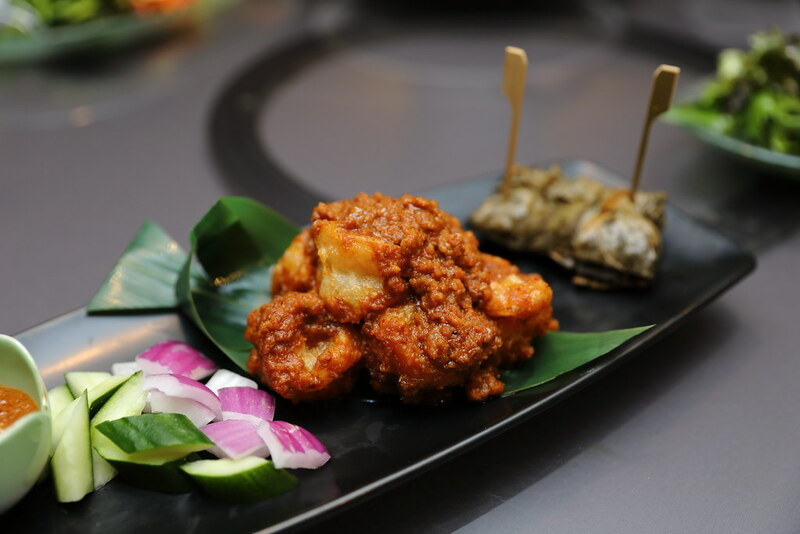 Majestic Bay at Gardens By The Bay welcomes new Chinese Executive Chef Chee Hin Yew. Chef Chee is not new to Singapore. 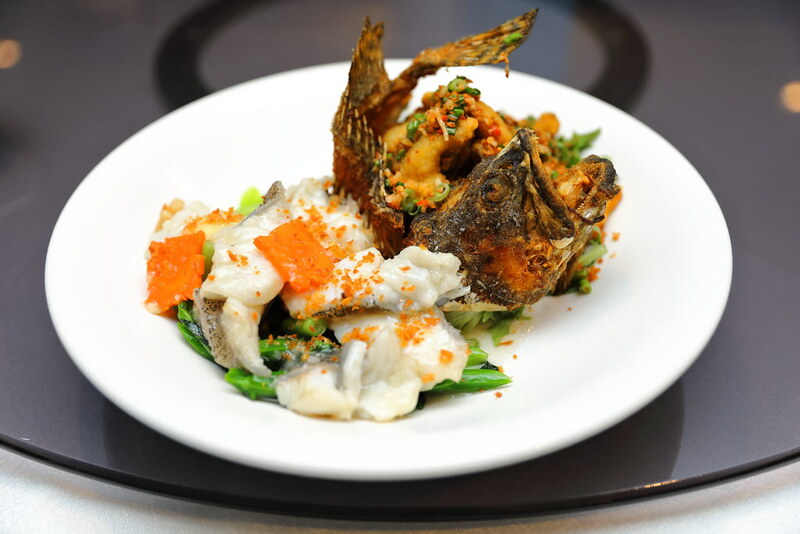 He has been working along side Chef-Owner Yong Bing Ngen for the past sixteen years. 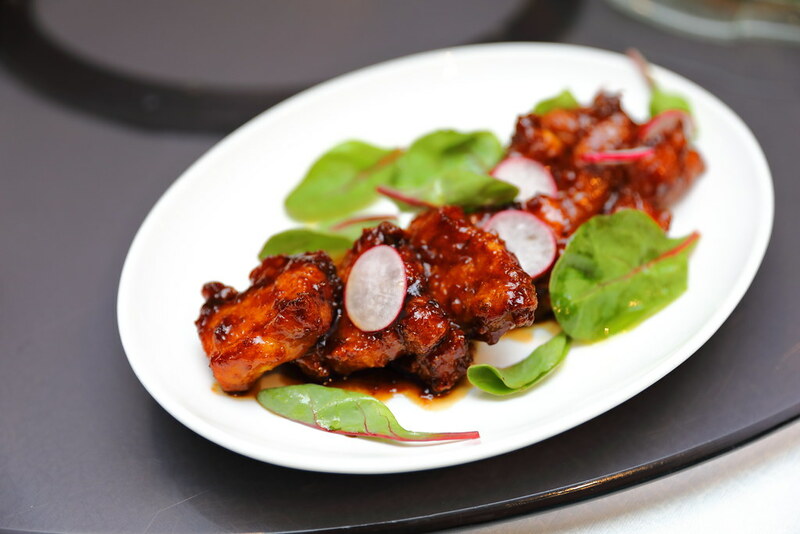 In conjunction with the new appointment, Chef Chee has also created a new line of signature dishes. First is the Catch of the Day in Two Ways ($80). A display of Yin and Yang with deep fried bites of the fish on one side and the lightly pan fried slices on the other side. I prefer the non deep fried so for the original flavour of the fish. I actually quite enjoy the Lobster in Homemade Champagne Sauce ($50). 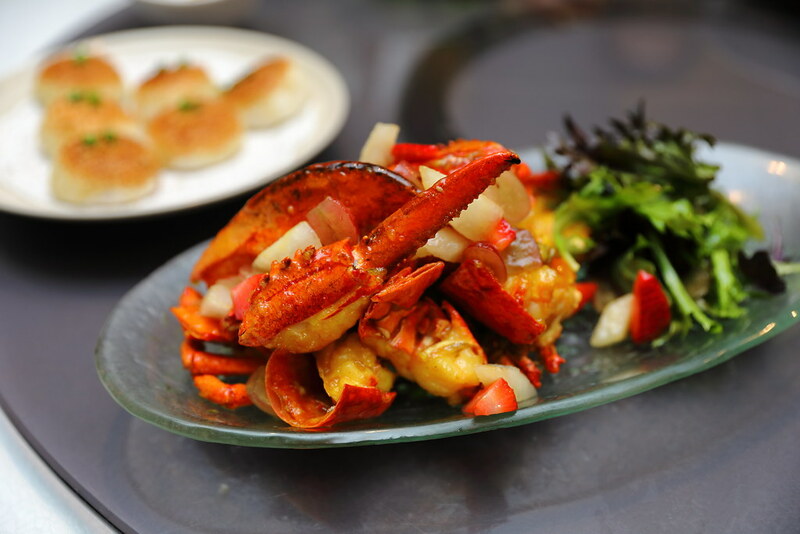 The tangy combination of a fruity champagne sauce seems to bring out the sweetness of the lobster meat even more. Initially sceptical but I was won over with I bit into the Crispy Prawns in Satay Peanut Sauce ($28). The nutty sauce goes well with the crunchy prawn. Not to forget the little parcel at the side, which is wrapped with glutinous rice, best to have it with the satay sauce. 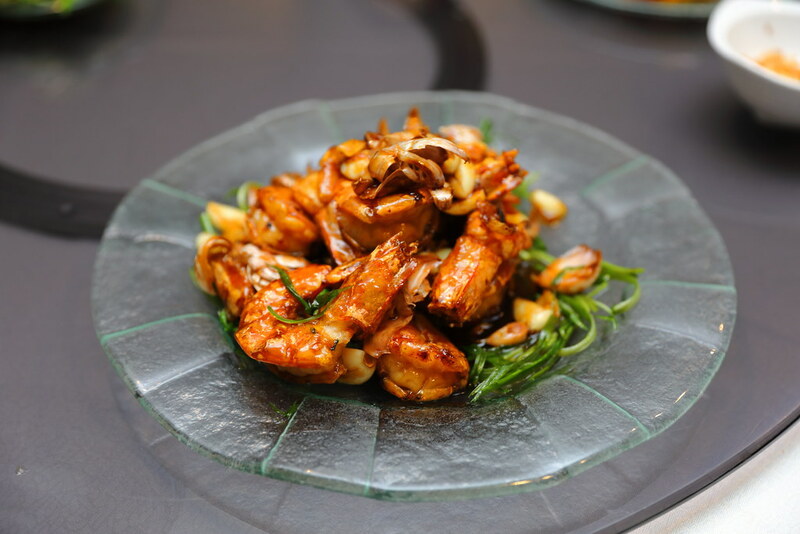 Another prawn dish I tried is the Crispy Sea Prawns in Light Soya Sauce and Smashed Garlic ($30). Coated in the mouth watering savoury sauce, this is further accentuated by the smashed garlic giving it a beautiful aroma. For the Baby Pork Belly Ribs, Jiangsu Style ($24), I like how the chef uses the acidity of the Zhejiang vinegar to cut through the richness of the sweet sauce, striking a balance for the tender and pork belly ribs. I remembered Majestic Bay for its coffee crab when it first opened. The dish is still available on the menu. However this time round, I am treated to another new creation, the Sauteed Mud Crab with Basil Leaves in White Wine Sauce ($68). 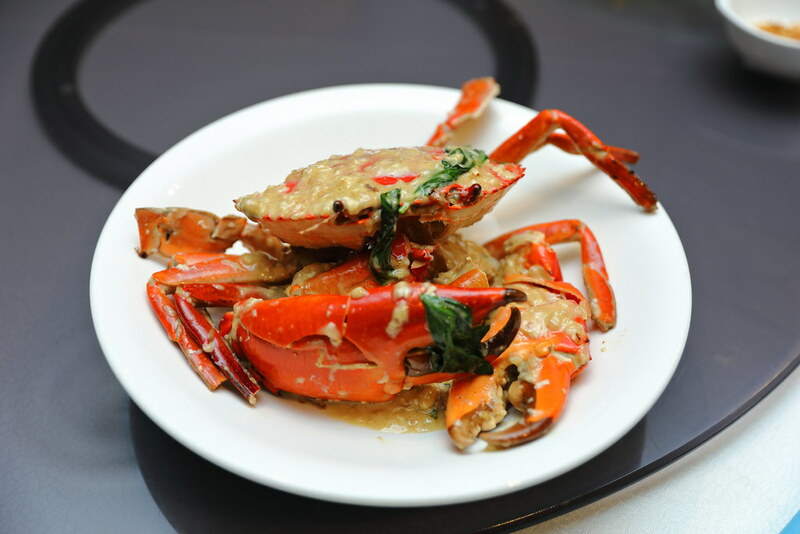 It is a East-West fusion, using the basil leaves for aroma and the creamy white wine sauce to lift the flavours of the fresh crab meat. A new signature at Majestic Bay is the Malaysia Free Range Chicken Rice, Claypot Style ($32). This is only limited to 4 portions everyday. So do order in advance. 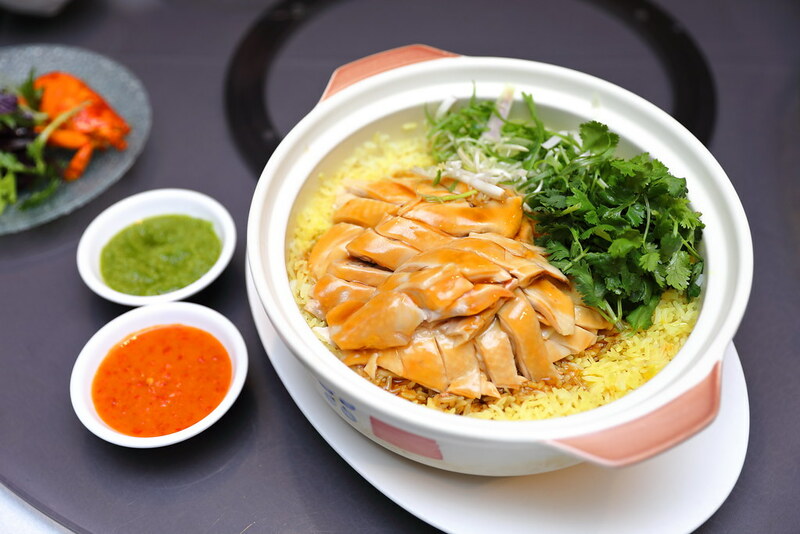 Instead of the traditional claypot rice with Chinese sausage and dark soy sauce, this is replaced with the new take of the iconic Hainanese Chicken Rice. 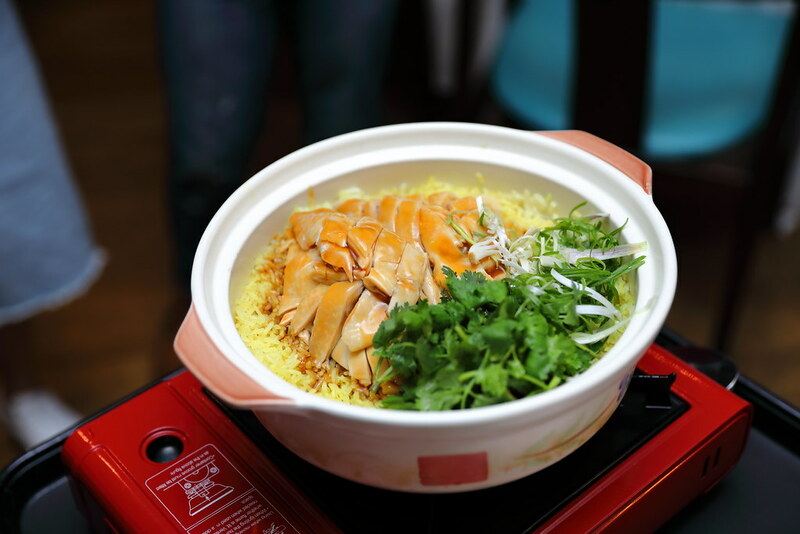 The juicy chicken and fragrant rice is cooked and served in an earthen bowl. It even comes with the tangy chicken rice chilli sauce and ginger. 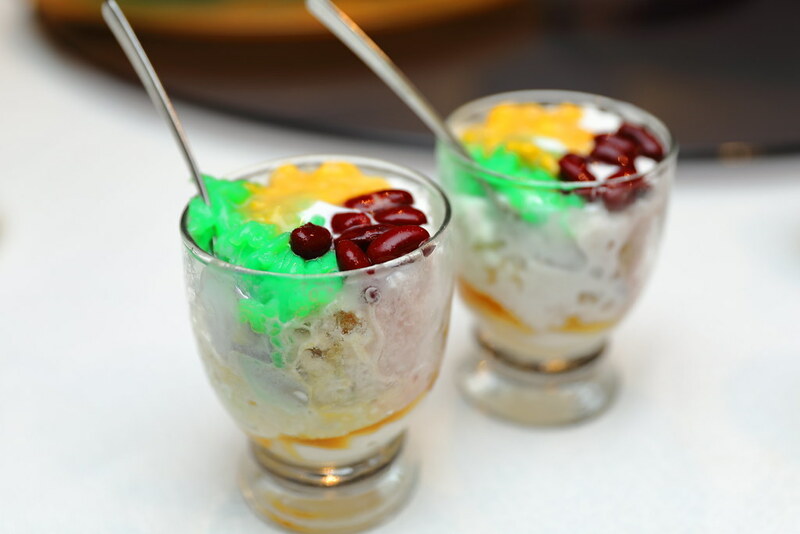 I really like the new take of our traditional chendol dessert which is rather sweet. The version at Majestic Bay, the Chendol Siew Dai ($4.80) is a lighter and upgraded version. It comes in a concoction of coocnut milk, shaved ice, sweet beans, attap chee (sea coconut), jackfruit, almond jelly and most importantly the chendol.